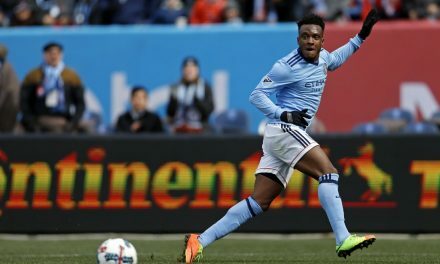 HARRISON, N.J. — In a scoreless draw that left New York City FC winless after its opening five matches this season, there certainly weren’t many highlights for home team. Perhaps the most memorable moments were produced by the Yankee Stadium ground crew, which tried to fix the field during the game and when we say during the game, we mean during game action. 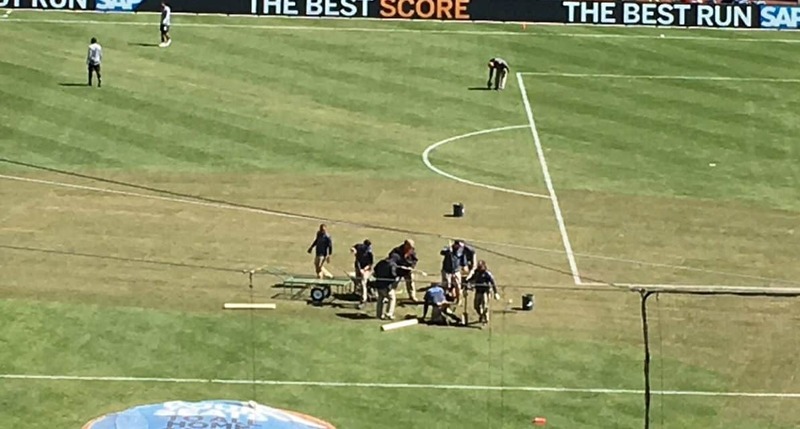 While NYCFC was on the attack toward the outfield end of the baseball park late in the first half, a member of the grounds crew worked on part of the temporary grass that was placed over the infield. It appeared he was trying to pound some loose sod into the ground. When play headed toward the first-base side of the field, the crew member left the pitch as to not interfere with the action. 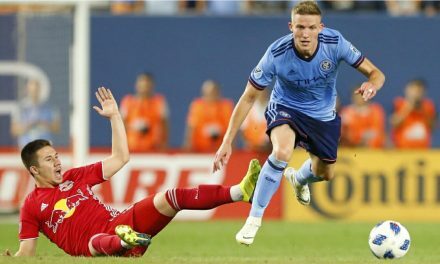 Many observers said it was the worst condition they had seen the field, although players wouldn’t blame the field on New York City FC’s scoreless draw with the Montreal Impact. Of course, no one was going to blame the field for whatever happened, but it certainly gave City and even the league a black eye. NYCFC is the only club among the 24 MLS teams that play on a baseball field. The rest play in soccer-specific stadiums or American gridiron football stadiums. For the record, this reporter counted the grounds crew working on the field three times. Once came during a stoppage in play in the 40th minute, the other a few minutes later and the third time at halftime when the crew worked furiously on one section of the field. The temporary sod did not mix in with the rest of the field. City captain Alex Ring suffered a swollen ankle after slipping on the infield portion about a half hour into the match. Asked to describe the pitch, Ring, who is usually a straight-shooter, seemed to hold back his true sentiments. 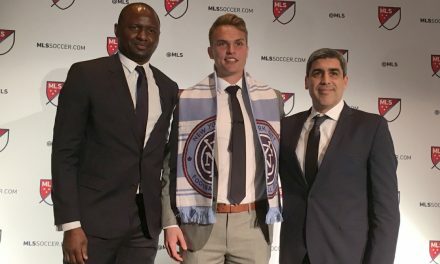 That went ditto for NYCFC head coach Dome Torrent, who seemed to want to lower the boom and really criticize the field, but held back his opinion. NYCFC has called the stadium home for five seasons with no relief in sight. Asked if he was worried as a coach when he the grass coming up, Torrent replied, “It is not an excuse for me. I need to improve my team. It’s my job. I don’t talk about that. We have many people on the club to fix this kind of situation. I don’t talk about that because we were able to win the game. Like it or not, you’re probably going to hear much more about the poor condition of the Yankee Stadium infield this year and for the next few seasons. 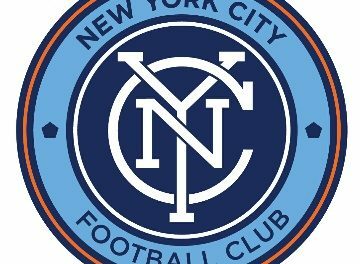 NYCFC still hasn’t found a venue to call home in the city and as we all know it usually takes two or three years to build a stadium with all the red tape in New York City.